ITG CD PROJECT: Purchase Trumpet CDs! Please consider donating to ITG. This publication is the official governing document for the International Trumpet Guild, containing general and detailed descriptions of policies for every aspect of the work of the organization. Included also are historical lists of officers and board members, award winners, competition winners, and other historical information. The International Trumpet Guild is a world-wide organization of trumpeters, formed to promote communication among trumpet players around the world and to improve theartistic level of performance, teaching, and literature associated with the trumpet. ITG's more than 7,000 members represent 64 countries and include professional and amateur performers, teachers, students, manufacturers, publishers, and others interested in belonging to an organization dedicated to the trumpet profession. ITG is a nonprofit, tax-exempt organization supported by the dues of individual members. In 1982, the ITG Archive was established at Western Michigan University to chronicle the Guild's activities and to preserve historical trumpet-related research. The ITG Research Library serves as a lending library for trumpet-related research. In 1988, plans were begun to form a larger European component of ITG. In fall, 1990 the Euro-ITG chapter was formed at the Trumpet Days in Bad Sackingen, Germany, with initial membership of 120 members. An International Membership Coordinator was appointed to further develop growth of ITG. The ITG Journal is a primary means by which ITG achieves its goals. It is published quarterly and includes articles on history, performance, literature, recordings, research, pedagogy, physiology, interviews, instrument modifications, and many other trumpet-related areas. Reviews of books, music, and CDs provide information about new publications; and dissertation reviews bring to light some often overlooked literature to stimulate interest in many worthwhile topics. Members may submit questions and topics of interest to the pedagogical topics or Clinic editor. The jazz editor conducts informative interviews with professional players and includes transcriptions of their solos. A general news section keeps readers informed of current activities of interest to the trumpet world. The journal frequently includes FREE supplements such as: CDs, music, books, and posters. The ITG Web Site provides a free instant global link to anyone with access to the internet and world wide web. To make a tax deductible contribution and support the ITG Web Site, please make a check payable to International Trumpet Guild and mail to the current ITG Treasurer. 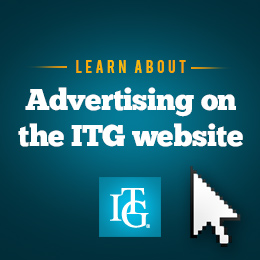 The ITG Web Site offers information about ITG officers, staff, programs, and membership, as well as many other free resources. The site is updated frequently and new sections are being planned. The ITG Memorial Fund includes the Karl Kletsch Memorial Fund and Memorial Scholarship Funds honoring Donald P. Bullock, Keith Clark, Clifton G. Plog, Sandy Sandberg, and Renold Schilke. Interest from the Karl Kletsch Memorial Fund provides monetary prizes for student solo, orchestral, and jazz competitions held at the annual ITG Conference. Interest from the Memorial Scholarship Funds provides competitive student scholarships to the annual ITG Conference. To make a tax deductible contribution to the ITG Memorial Fund, please make a check payable to ITG Memorial Fund and mail to the ITG Treasurer. The annual ITG Conference features the world's greatest trumpet and brass artists and is indeed THE trumpet event of the year. They have been held at major universities throughout the world. Sessions are devoted to numerous topics including jazz, symphony orchestra, solo recital, chamber music, pedagogy, history, repertoire, performance practices, acoustics, equipment modifications, physiology, psychology, premieres of new works, and all aspects of the trumpet. The Festival of Trumpets Concert features more that 50 professional trumpeters. Conferences include student performance competitions for Jazz Improvisation, Solo Performance, and Orchetral Excerpts, and a special competition for younger players. Cash awards for performance competitions are made available by the Karl Kletsch Memorial Fund. Conference scholarships for students are provided by ITG Memorial Scholarships Fund in memory of Donald P. Bullock, Clifton G. Plog, Sandy Sandberg, and Renold Schilke. For more information about the ITG Memorial Funds click here. Sponsored by ITG and the Columbus Foundation of Columbus, Ohio. $15,000 total prizes. Held every four years. 2008 Compeition: October 9-12. Boston University, Terry Everson, host. Click here for details and rules. Supported by a grant from The Herb Alpert Foundation. $15,000 total prizes. Held every other year (odd-numbered years). Click here for information on the most recent event, and here for a .pdf file of the results and activities. Competition suspended after 2009 by direction of the Board of Directors. Affiliate ITG chapters may be formed by petitioning the ITG President. Click here for the rules. A list of current chapters can be found here. The Sponsor-A-Trumpeter (SAT) Program was created more than ten years ago to encourage ITG members to donate memberships for trumpet players who are unable to join due to financial circumstances. The names of potential recipients can be forwarded to ITG from members aware of someone in need of this help. Click here to submit names (please include contact information, i.e. address, email address, phone, etc). Please donate to the Sponsor-A-Trumpeter Program by following this link and scroll down to the choices for Sponsor-A-Trumpeter. The Legacy Endowment was created to support additional conference scholarships for students as well as significantly increase the amount of money available for affirming, enhancing and supporting ITG’s mission “to improve the artistic level of performance, teaching, and literature associated with the trumpet.” Toward this effort, projects may include, but are not limited to, commissions, jazz and solo competitions, book reprints, free CDs, financial aid to ITG local chapters and scholarships for students to attend ITG conferences. Donations to the Legacy Endowment are encumbered funds. That is, only a portion of the interest from the fund may be used for projects; the principle may not be touched. In this way, the fund will grow over the years, thus increasing the funds available to scholarships and other worthy projects. To donate to the Legacy Endowment Fund, click here. ITG sponsored of the first U.S. solo tour by Soviet artist Timofei Dokshizer.